Oct 88: Due to a misunderstanding with the embryonic Bridge training & consultancy operation who headhunted me, left Hellmann Mitchell Cotts 3 months before Bridge had the financial structures in place to afford me! So used my experience as a buyer and my knowledge of purchasing systems to secure work as a freelance administration consultant with Bradford-based Stylus Graphics Ltd (formerly one of my suppliers at Hellmann) and ICM Ltd in Leeds. Feb 89: Joined Bridge, based in Bradford. Wrote their library of training courses. These courses were very successful – and, apart from minor updates, they remained unchanged for over 5 years. (This in spite of considered reviews.) An attempt by other people in the Bridge organisation in 1994 to modularise the courses against units of the Management NVQs was abandoned because it was felt the project would end up altering the integral nature of the courses too much. Also undertook ‘hands on’ training – delivering a range of management, sales and communication skills – both to specific clients and via open seminars. This period included providing training to the sales force of Vileda, one of Britain’s most prestigious names in FMCG household goods – the UK division of a multi-national. During this period I worked with a number of behavioural tools – most notably Meredith Belbin’s Team Self-Inventory (1981)and the DISC model of psychometrics (derived from the work of William Moulton Marston (1928) and licenced in the UK by Thomas International). Commentary: Bridge was founded by 4 ex-Kalamazoo salesmen – Tom Stock, Andrew Michael, Wal England and Steve Bleasby. They saw the opportunity afforded by the DTI Enterprise Initiative to provide consultancy support and training in business planning, marketing and quality to small-medium businesses. Accordingly, they set themselves up as management consultants and recruited – or sometimes temporarily contracted – additional personnel for project delivery purposes. 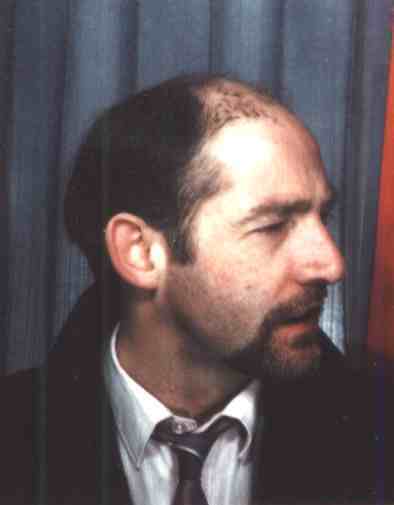 Tom and Andrew also had the Kall Kwik printing franchise in Bradford and were one of my suppliers at Hellmann. They knew my background as a teacher and a journalist and, from that, somehow reckoned I could write their training courses for them! For a while it all worked – and I got a pretty good grounding in how to be a consultant! Mar 91: Following internal training at Bridge, I began carrying out DTI-funded business planning projects. Clients included solicitors, printers ( a principal market for Bridge) and contract cleaners. Commentary: Initially my work was closely supervised; but, within a little more than a year, only Tom Stock was receiving more praise for his business plans. Jan 92: Completed competence-based lead assessor training and began carrying out BS 5750/ISO 9000 consultancy projects – usually under the Enterprise Initiative scheme – commencing with an architect’s office. Commentary: With the there being real encouragement from government for larger companies to require their supplier to have BS 5750/ISO 9000 quality management accreditation, there was mushrooming demand for consultancy support in this field….and Bridge wanted a piece of the action. June 92: Accepted into the Institute of Quality Assurance (now the Chartered Quality Institute) with grade of Licentiate (the grade title was later rejigged to be ‘Associate’). Oct 92: First nursing home project (ISO 9000) commenced as sub-contractor to new subsidiary company, Bridge Care Ltd.
Commentary: The Care in the Community Act 1990 put a lot of pressure on nursing homes and residential care homes to be assessed against ‘quality measures’ – and the first wave to respond to this pressure sought ISO 9000 accreditation to meet these criteria. Tom Stock and Tony Brown, another ex-Kalamazoo salesman, had set up Bridge Care earlier in 1992 to sell a pseudo-Kalamazoo care plan system into nursing and residential homes. In the meantime I had become the ‘ISO 9000 capacity’ – but the Bridge guys couldn’t get the hang of selling it. So, when I was under-utilised and Tony started to get requests from care homes for ISO 9000 consultancy, it made sense to farm me out. Summer 93: Via a systems-flow analysis, demonstrated to a £7M turnover packaging operation the potential to make a year-on/year-on saving of £40+K in return for a one-off investment of approximately £28K. Oct 93: Formally joined Bridge Care Consultants as second-in-command. Commentary: Tony Brown and I worked really well as a team for close on 3 years. He sold and I did the projects. Within a few months of me becoming an employee of Bridge Care, we were getting so much work we had to use associate consultants to handle the workload. In and amongst my own projects, I was responsible for quality assuring the work of the associates. Nov 93: Undertook Level IIIB assessor training and began carrying out Investors in People projects. Commentary: Bridge never really ‘got’ ISO 9000. It was too technical for them; so, because they didn’t really understand it, they weren’t very good at selling it. When the less-technical IiP began to be pushed by the Training & Enterprise Councils, Bridge were much more comfortable with that. The TECs pushed IiP as a soft option to ISO 9000 especially in the care home sector. Feb 94: First Client, Argyle Park Nursing Home (Southport, Merseyside), to achieve ISO 9002. Commentary: It was only years later, when I worked with the Gravesian approach and Adizes LifeCycle, that I came to understand why so many smaller companies failed to carry through to ISO 9000 and/or IiP accreditation. See The SME Spiral for an in-depth exploration of these issues. (I also didn’t appreciate at the time how my BLUE vMEME ran such a strong Procedures meta-programme in the way I delivered quality consultancy!) In the care home industry, attaining a quality standard was looked upon as essential for survival – but IiP rapidly became the preferred option. Commentary: The irony of working with proprietors John & Heather Slack was that they didn’t want to grow their business – the direction most consultants tend to push their clients in. John & Heather simply sought to protect the value of their business and their investment in it in very challenging times. As part of that, they wanted to enhance where possible the care their residents were given. How ‘business’-like! Mar 94: A bank accepted a business plan I had written with a virtually-insolvent client and agreed to keep supporting the client, providing the client followed the business plan. Nov 94: On loan back to the main Bridge organisation, demonstrated to the biggest operation of a pan-European gravure printer that it could save £70+K per year simply by implementing one Clause of ISO 9000 properly. Subsequently asked by that organisation to help set criteria on which they should recruit new Quality Manager. 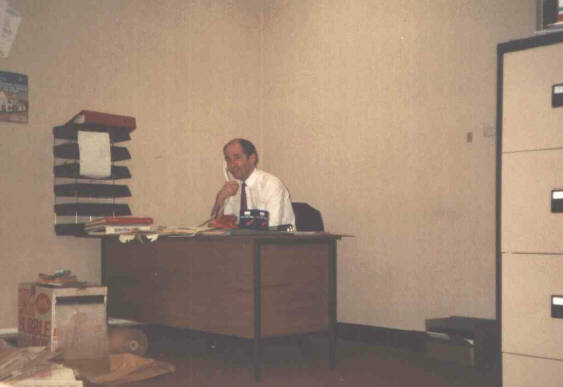 Dec 94: First Client, B & D Print Ltd (Chorley, Lancs), to achieve ISO 9001. My work was commended by the Assessors. Commentary: The TECs were under enormous pressure to hit Department of Employment targets on IiP recognitions – so, when Tony Brown and I came up with the concept of using workshops and template materials to fast-track a consortium of care homes, Bradford TEC readily funded it. Even with ready-made materials, workshops and hands-on consultancy, adapting their working practices to meet a formal quality standard proved a rather daunting task for several of the Consortium members. The project actually had started in late 1993! June 95: Commenced work on achieving both ISO 9000 and Investors in People with the English Province of the Hospitaller Order of St John of God, a 500+ employee health/care specialist and the UK arm of a world-wide lay order. Commentary: For a non-Catholic with no experience of religious orders, working with the Brothers of St John of God was a different kind of experience. Though they politicked frequently(!) amongst themselves, their dedication to their concept of ‘service’ was awesome. I was particularly impressed with Brother Stanislaus Nield, a former Provincial (head) of the English Order who was very much the driving force behind their determination to use quality standards to gain a greater consistency of service. They did eventually achieve IiP recognition but, after protracted deliberation, went on to settle for a partial upgrade of their systems, rather than going all the way to ISO 9000 accreditation. Something about the Brothers and their dedication touched me deeply – dare I say, spiritually? I kept in contact with Stanislaus and several other Brothers for a number of years after the consultancy work was over. 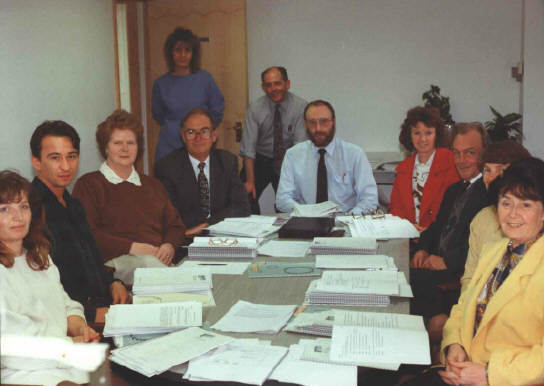 July 95: Carried out first projects (business ‘health checks’) for Business Link Doncaster with GP fundholders. Oct 95: Now living in Leeds, left Bridge (undergoing massive but fatally-flawed restructure) to set up Rice & Rice Associates Ltd – to carry out sub-contract projects for Tony Brown, former head of Bridge Care now trading as IBS/Bridge. Commentary: Some of the Bridge guys were more successful than others – both in terms of quality of work and at bringing in revenue – and that led to friction. They dismantled their limited companies and tried operating as a series of partnerships – though that didn’t work out either! This led to Tony Brown breaking away completely. He didn’t want to carry me as an employee; so I set up Rice & Rice. Nov 95: Approached by representatives of the Egyptian Embassy to participate in 6-month quality management project for the Egyptian health service. Commentary: By this time my reputation as a care sector consultant was spreading quite considerably. After some consideration, I turned the offer down on the grounds that my UK business would all but disappear if I spent 6 months or more in Egypt. Dec 95: Work with Elim Lodge Nursing Home (Hornsea, East Yorks) to achieve ISO 9002 commended by the Assessors. Feb 96: Approached by Triangle Training & Development Ltd to carry out an ISO 9000 project (which never materialised) in Liverpool. June 96: Attended IiP Revised Indicators Workshop. July 96: Designed and delivered first Staff Appraisal Training programme for Bilton Hall Nursing Home (Harrogate) as part of their IiP programme. Later that month designed and delivered Piggies in the Middle supervisor and junior management training for Bilton Hall. Oct 96: Completed design and development (for IBS) of template ISO 9000 system for nursing and residential homes. Commentary: Implementing an ISO 9000-standard quality system was prohibitively expensive for many independent care homes or small care home groups. So, drawing from his experience of selling in Kalazamoo-style template systems, Tony Brown had me design a bespoke yet thoroughly-customisable system for care homes. Nov 96: Rice & Rice, now insolvent, ceased trading. Commentary: Though it took a little while before I would talk about it openly, I had a minor ‘nervous breakdown’ and was hospitalised for a week. Tony Brown’s interests had been drifting elsewhere for some time and he was no longer supplying new work – which led to me finding out the hard way that reputation alone will not always guarantee work coming through the door. Additionally, my then-fiancee and co-director was bleeding Rice & Rice dry of funds and running up significant debts. While the ‘breakdown’ was a horrific experience, according to my GP I made one of the fastest recoveries he had ever known – getting a new job within two months!